Posted August 29th, 2018 by Mobile Music School & filed under Announcements, Educational - How to Guides. Our team here at the Mobile Music School thought it would be a good idea to put together a series of videos and blogs for you to get to know us better! 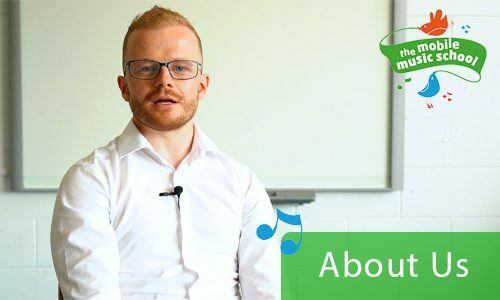 Before we begin our tutor how-to guides, the Mobile Music School founder and managing director Shay Lally gives an overview of who we are as a music school and what we do. The Mobile Music School journey started back in 2011 with the aim of delivering high quality music programmes to schools throughout Ireland.